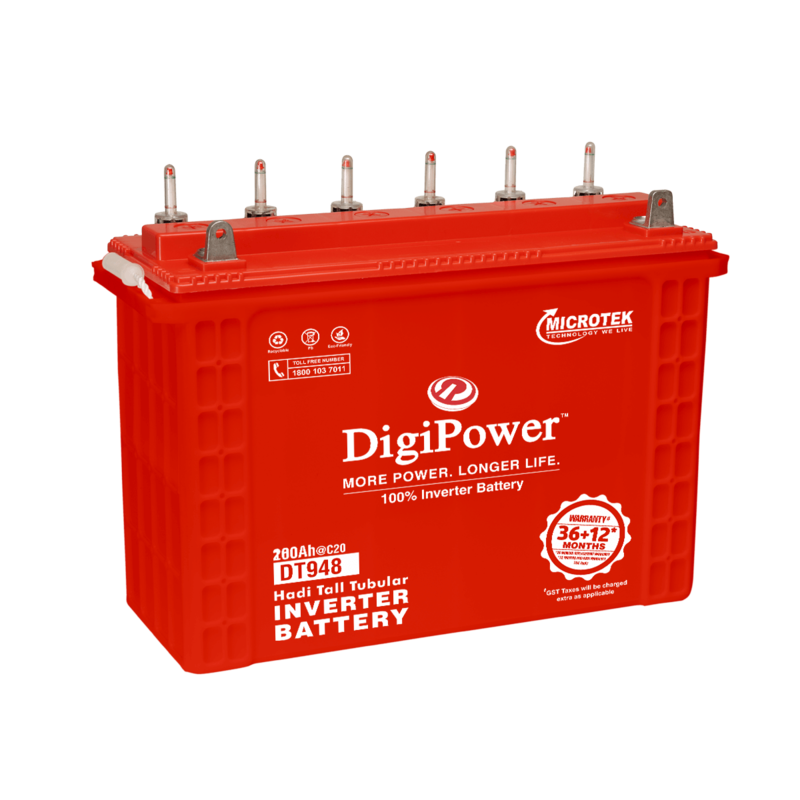 DigiPower is known as the most powerful tubular inverter battery brand. DigiPower offers tubular inverter batteries ranging from 140AH to 200AH. 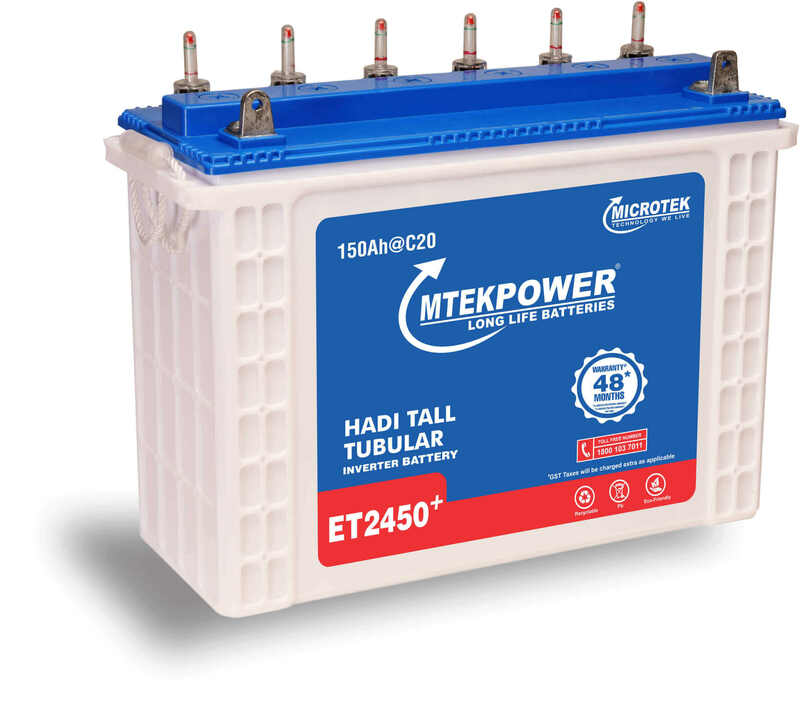 These batteries are not only powerful but highly reliable as they come with a minimum warranty of 36 (18+18) months. 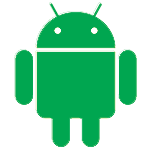 You get up to 48 (36+12) months warranty on some of their HADI Tubular batteries. Okaya Batteries have Bigger Containers to store 30% more electrolyte so that you need to do water topping less frequently. Okaya make the spines by High Pressure ‘Hadi’ Casting Process at 100 bar. 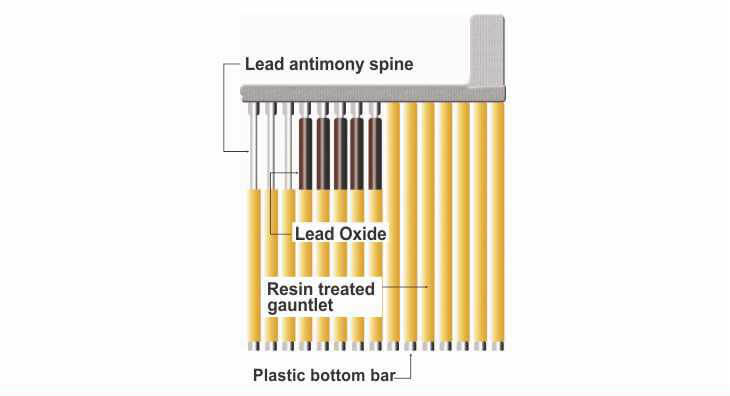 We make spines with low antimony lead alloy with selenium and tin to protect them from anodic corrosion. 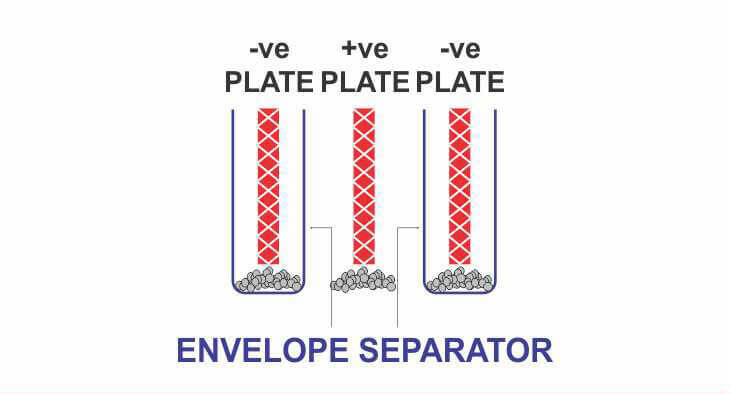 Negative Plates are fully covered with Daramic USA polyethylene separators to prevent their shorting with positive plates. 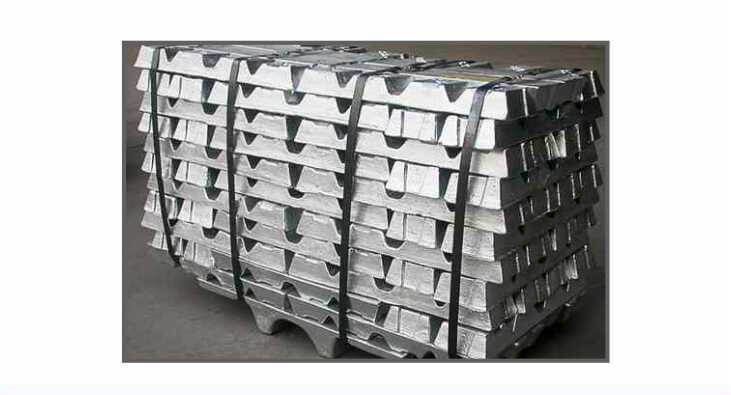 Okaya imports the best quality primary lead with 99.994% purity from Australia. 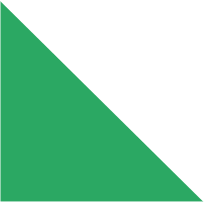 This ensures longer battery life. 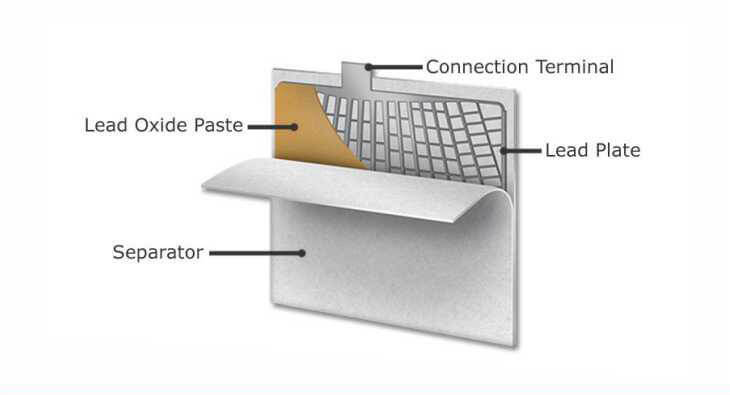 Okaya's Advanced Grid Pasting Compound ensures quick recharging of the battery in frequent power outages. 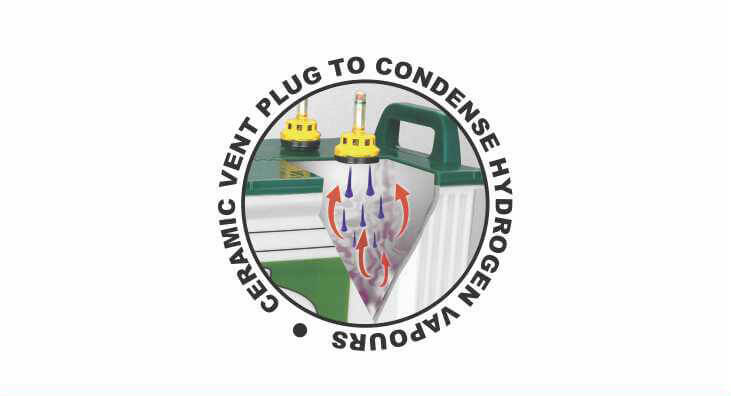 Hydrogen vapors are trapped back by Ceramic Vent Plugs and condensed to water. This ensures cleanliness and safety along with minimal water loss. Hence, water topping requirement is less.